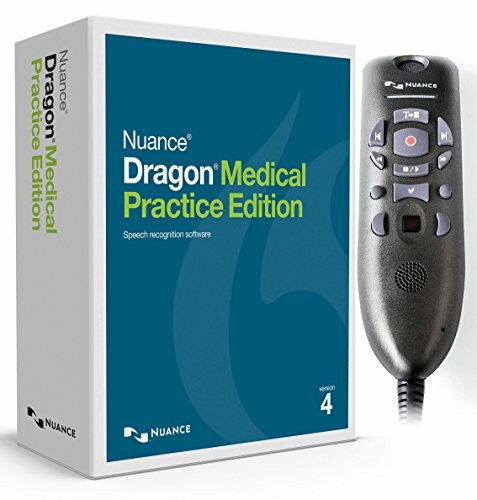 Purchase Nuance Dragon Medical Practice Edition 4 with Powermic III for Windows (Microphone with 3 Foot Cable) at Discounted Prices ✓ FREE DELIVERY possible on eligible purchases. Available for independent practices of 24 or fewer physicians, Dragon Medical Practice Edition is a locally-installed solution designed and priced especially for smaller practices that want to transform the documentation process. Simple setup, easy-to-use functions, dependable performance and optimized for portable touchscreens. Clinicians dictate in their own words anywhere in the EHR-faster and more accurately than ever before and Enhanced in-app help.